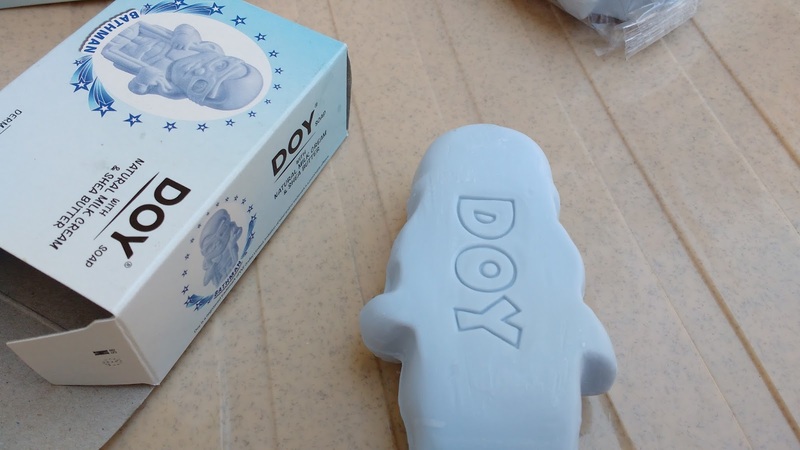 My elder child is 4 years old and loves water and bathing so I never felt the need to make bathing a fun experience but when I spotted this cute looking soap from DOY on Amazon I couldnt resist and decided to give it a try . 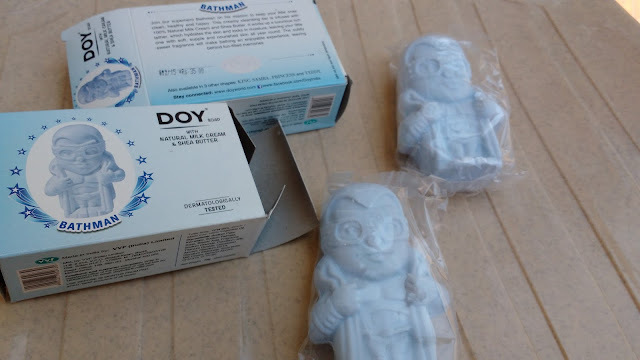 The cute Doy Bathman Soap is enriched with Natural Milk Cream and Shea Butter and is available in 3 other shapes king samba, princess and teddy. Doy Kids Bathman soap is packaged in a powder blue cardboard box. 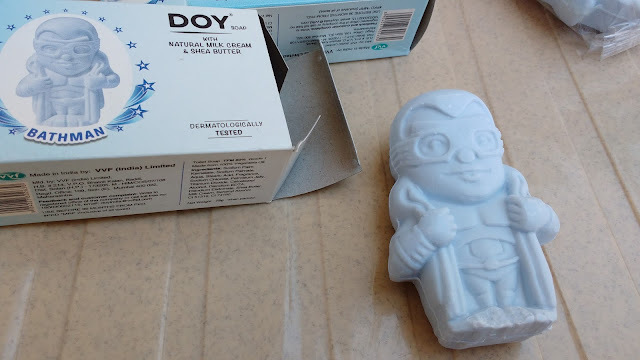 The soap itself is light blue and is shaped like a fictional bathman is sealed in a transparent cover. Overall good job with the packaging keeping the price in mind. 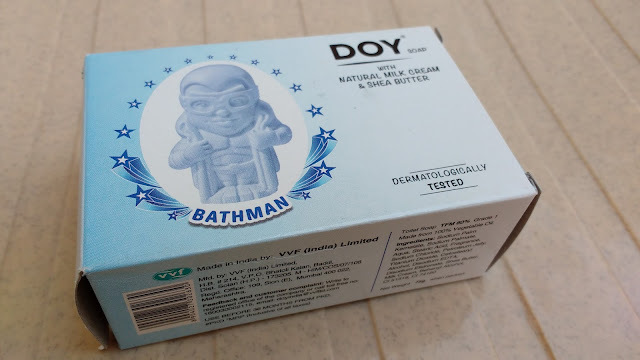 I ordered a pack of three Doy Bathman soaps which came with a free tiffin and when it arrived home my kid was super excited and couldn't wait to have a bath with it. 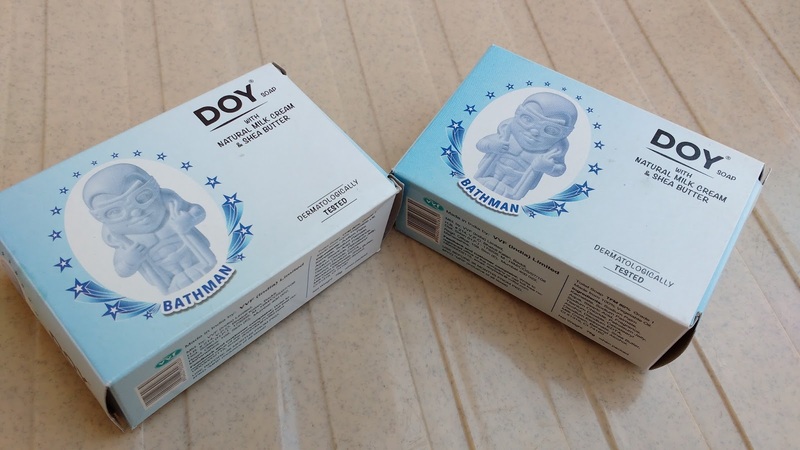 Doy Bathman soap has natural milk cream in it and the texture is very creamy which lathers easily. There is a mild pleasant fragrance which stays for sometime after bath. 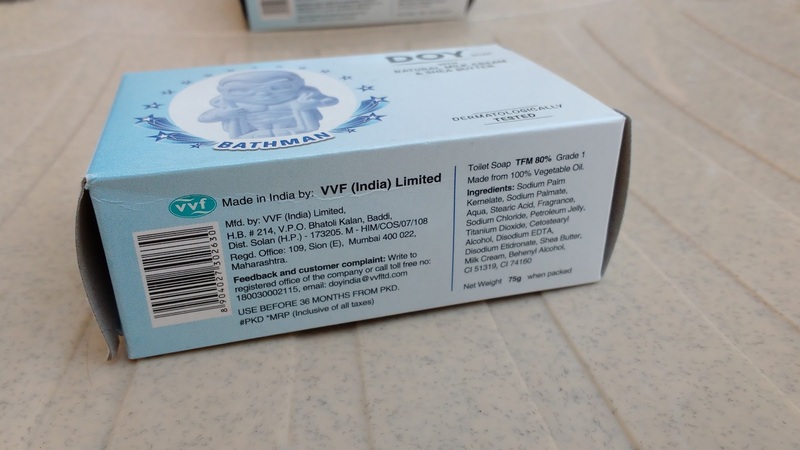 The soap glides well on childrens skin and is mild enough to be used on kids. The total fatty material is 80% and the doy soap leaves skin hydrated, soft with a cleansed feel. I have myself also used this soap and also used this soap as a hair wash for my kid after his haircut and it has worked well on both times so I can say this is a very economic option for kids to help them enjoy their bath.